L PLUS started his career as a Drum & Bass DJ in 1998 at the University of Architecture in Bratislava, where he founded the DJ crew Trademark with 2 friends. He started to perform at local parties and soon became a part of the drum & bass scene in Slovakia. The same year he started to produce his own tracks. Quickly L Plus's reputation grew as a DJ in Slovakia and Czech republic where he played at different festivals, clubs and radio-shows and also around Europe. 2002 he won the Jim Beam DJ contest and became an owner of a pair of Technics turntables. The same year L Plus released his first promo vinyl and celebrated his release by playing in S. Petersburg. 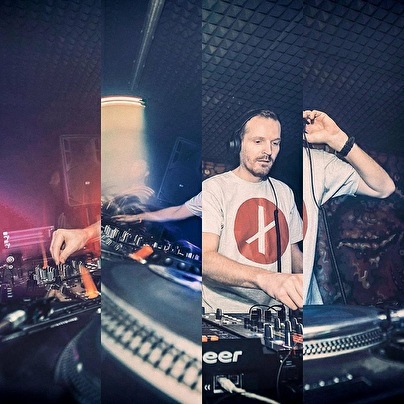 Over the next few years his reputaion grew further when many top UK producers and DJ's started playing his tunes and his name became more known in the international drum and bass circuit. 2007 was a break-through year for L Plus. He signed music to several labels including: Urban Takeover, Xporsure, Cymbalism, Intrinsic, Phunkfiction, Sidechain, First Generation and Robotix. He also collaborated with top Russian producer Paul B and MC Coppa on a track called 'Danjaz' which was played worldwide. At the end of 2007 L Plus signed a track called 'Middle East Sun' to Futurebound's Viper Records, and this was included on the mighty Andy C's 'Nightlife 4′ mix series and was released on RAM records. L PLUS became a part of the VIPER crew and signed more tunes for VIPER. After short break he released tunes in 2010 on Formation, Bad Monkey & Viper as well as new collaborations and remixes. In 2011 he signed exclusively to Technique Recordings / Worldwide Audio Recordings where he released his debut Timetravel EP and shortly after it remix of Tantrum Desire's Reach. 2012 started with the collab with Erb N Dub called Replica, followed by Gas Grenade and Catastrophe feat. Shaz Sparks, remixes of Crissy Criss's Let Go and John B's Lightspeed. L Plus has now released the four track Amazing EP including: Amazing, Taking Me Higher, Challenger, Close To You and has some new exciting material to unleash in 2012 and beyond. His live DJ mixes are full of energy, power, heavy basslines ,rolling beats and full of atmosphere.